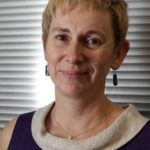 The design and delivery of the NIHR Imperial BRC Public and Patient Involvement and Engagement activity across all research Themes is supported by the Patient Experience Research Centre (PERC). 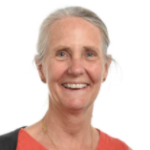 The PERC have now launched a Patient and Public Involvement (PPI) Resource Hub to guide researchers through the process of actively involving patients and members of the public in their research and projects. The PPI Resource Hub is structured around key steps in the PPI process, and provides links to further resources, sites and information. The PPI Resource Hub also contains a downloadable Guide to Public Involvement with additional practical PPI guidance. The PPI Resource Hub has been specifically developed for Imperial College researchers funded by the NIHR Imperial BRC, but the content is open and accessible to all researchers within and beyond Imperial. 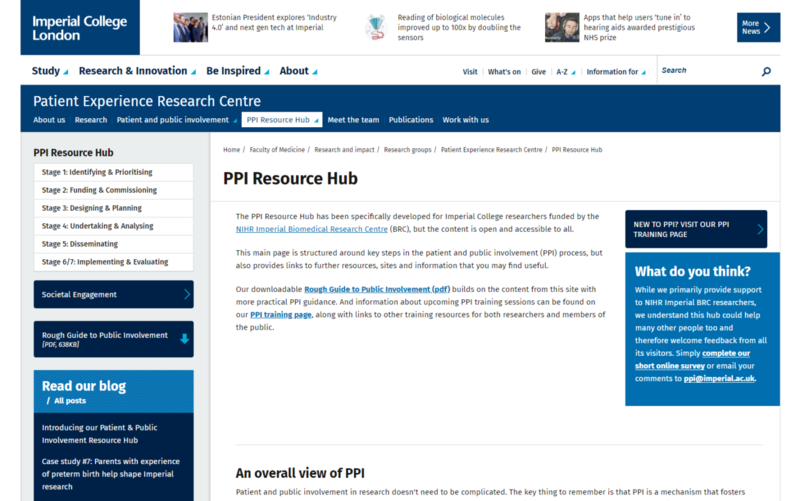 Find out more details about the PPI Resource Hub via the PERC Blog. Access the PPI Resource Hub directly here.